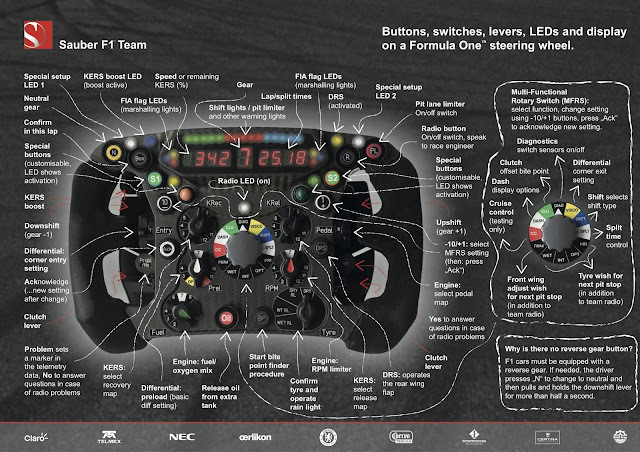 It wasn't that long ago that F1 steering wheels were used for just turning the wheels. Take a look at this to see how complex they are now. 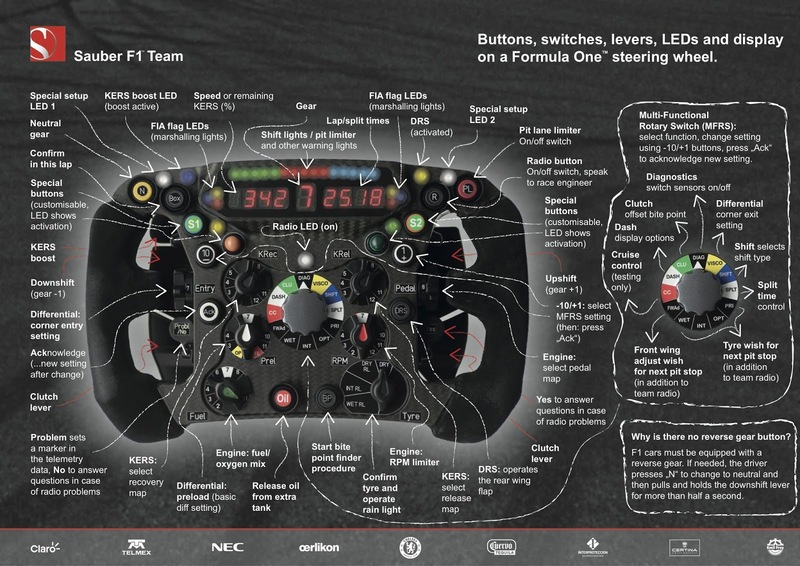 Here's some other cool stuff about the modern F1 wheel and it's many knobs, as described by Sauber.